So I’m about to start another quilt with Quilter’s grid interfacing, but before I start I wanted to do a test run of the two different brands of gridded interfacing–Pellon and Bosal. Quilter’s grid interfacing is a fantastic product that is a lightweight fusible interfacing with a very light grid pre-printed on it. It comes marked with your choice of 1″ squares, 2″ squares, or squares set on point. I chose the 1″ squares because it is the most flexible. I made a watercolor quilt a few years ago with the Pellon brand Quilter’s grid. If you click over to that post, it also describes the process of using the grid a little better. I thought the Pellon worked quite well, but it was a little stiff until the quilt had been washed a few times (then it was fine). Then last year I made a first aid kit zipper pouch with it, where the stiffness was not ideal because I won’t be washing it a ton of times. Anyway, I surfed Google images and came across this quilt by Red Pepper Quilts and decided to do something similar, but miniature. I was also in the mood to make something with my small stash of 1930’s-ish repro fabrics. I cut out a million 1″ squares with my Sizzix in about 20 minutes and then took the next few hours or so placing them on the quilter’s grid and fusing/sewing them. For the end pieces and binding I used a Kaufman chambray. For the outer panel, I used the Bosal grid, which is lighter in weight and has a softer drape than the Pellon. I’m torn as to whether I like the thin-ness better because it made it so that the squares were not repositionable after fusing without shredding the interfacing. With the Pellon grid, you can reposition the squares after fusing if you’ve just done a light fuse. 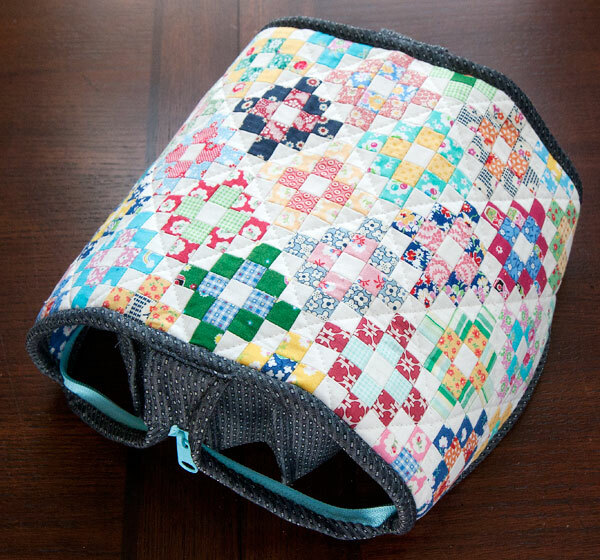 This does come in handy because it seems like there are always adjustments to be made–either because of the layout or because a square shifted slightly during fusing and needs straightening. Anyway, I knew from the start if I wanted to make the outer panel pattern symmetric, then the panel was going to come out at a slightly different size than what is required for the Sew Together bag. This actually caused a fair number of problems as I had to refigure the size of each of the other pieces as I went, and it didn’t always work the way I expected. The panel I made is about an inch longer and an inch narrower than the original. I think I like these new proportions a little bit better, and as a bonus the inner pockets are a little deeper. I also decided to try using a purse zipper for the outer zipper and it worked pretty well! I like the double pulls. All in all, even after all the frustrations with the sizing of the pieces, I’m pretty pleased with this one! I’m particularly pleased that I finally got to use this ridiculously cute deer print I got a few years ago. Yay! 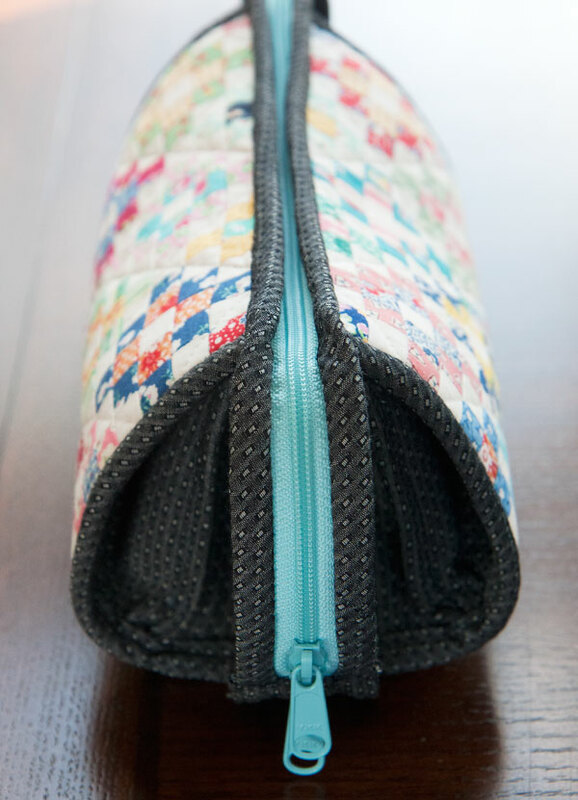 Outer zipper: By Annie’s purse zipper. 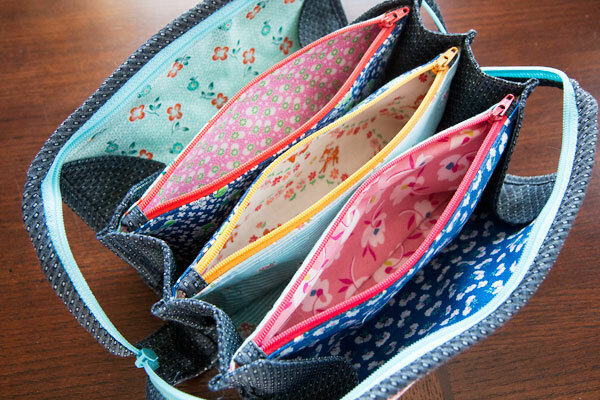 Your Sew Together Bag is gorgeous! 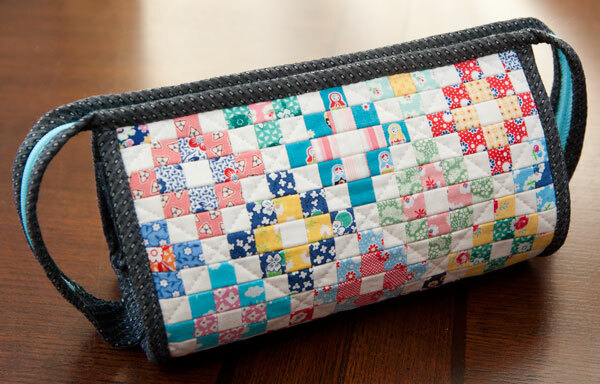 I especially love the fabric you chose and the granny square design! I’ve got the pattern but haven’t decided yet on the fabrics. This is just adorable! Love love little bags and your collection is fantastic. looking forward to see what is next. TFS! 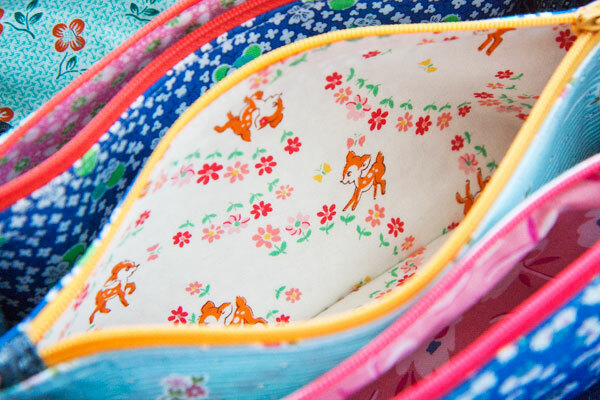 Cutest Sew Together Bag EVER!!! 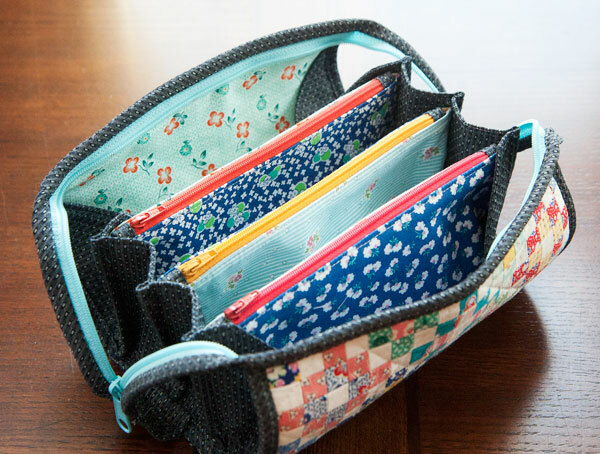 How do i get the pattern for this zipper pouch? It’s the “Sew together bag”, google will find it for sure!